Pictured, SUNY frat pledge, Daniel William Michaels. Daniel William Michaels SUNY freshman dies after drug and alcohol frenzy initiation: Could one college freshman’s death have been avoided? Culture of party to excess. 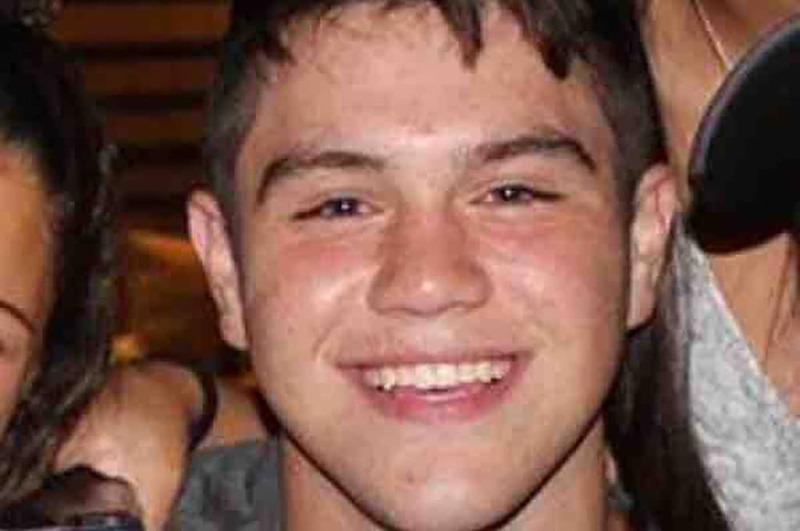 Daniel William Michaels an 18 year old SUNY Oneonta college freshman student from Long Island has died after ingesting a combination of drugs and alcohol after a night of partying at an off-campus fraternity that he was pledging. The Daily Star of Ostego County reported the State University of New York freshman passing out on a couch at a house where members of the Alpha Pi fraternity live, shortly after midnight Saturday, only to never gain consciousness again. A group picking up a friend at the home noticed Michaels and alerted authorities. The frat pledge was taken to Fox Memorial Hospital and died of cardiac arrest, police said. ‘Oneonta considers the students part of the community, and the loss of an 18-year-old member of the community is really heart-wrenching for everyone,’ said Oneonta Police Chief Douglas Brenner. At the time of his death, the business economics student from Dix Hills was being pledging into the fraternity. Of note, the fraternity operates off-campus and as a consequence isn’t recognized by the school, meaning it doesn’t have to follow rules set for Greek social organizations, including rush policies. ‘The college has no affiliation with groups it does not recognize. Such groups operate independent of the college,’ said Hal Legg, executive director of communications at the school. A next-door neighbor to the Alpha Pi house, Thomas Hanley, said that the fraternity had just moved in this fall and threw loud parties most Friday and Saturday nights. ‘It has a frantic feel to it,’ Hanley said of the 34 Academy Street house and other unrecognized ‘party factory’ frats in the area via the dailystar. He said the gatherings have been a consistent problem through the 20 years he has lived on the street. A former city official who spoke on the condition of anonymity said that illegal fraternities have gone unchecked in Oneonta for years because landlords are willing to turn a blind eye. A preliminary toxicology report found amphetamines and benzodiazepines in the freshman’s blood, Ostego County Coroner Terry Knapp said, adding that he may have ingested them separately or combined in an ecstasy or ‘molly’ pill or powder. Michaels’ blood alcohol levels were below the legal limit, the report found. A full toxicology report will be available in four to six weeks. Police said foul play was not suspected. The freshman’s death over the weekend follows Daniel Michaels’ twin brother Justin being killed in 2004 after a cheery tree fell on him at day camp when he was just four years old. A GoFundMe page set up to fund a scholarship in Michaels’ name had raised over $20,500 as of late Tuesday afternoon, EST.